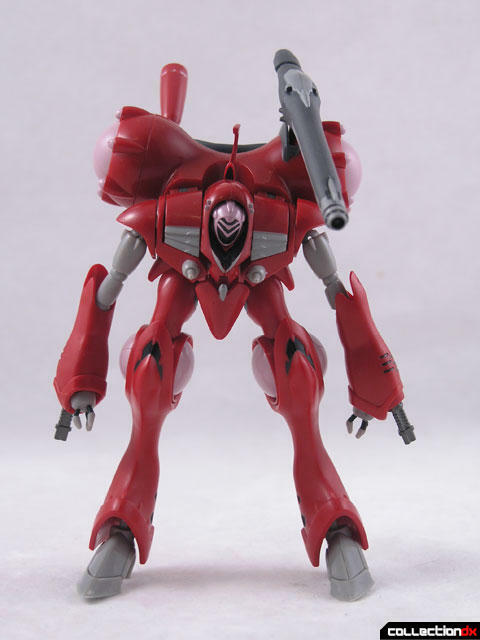 Also known as Queadluun Rea or Queadluun Rhea, the Quedluun Rare is actually a battle suit worn by female Zentradi, known as "Meltran", aboard the Battle Frontier in Macross Frontier. 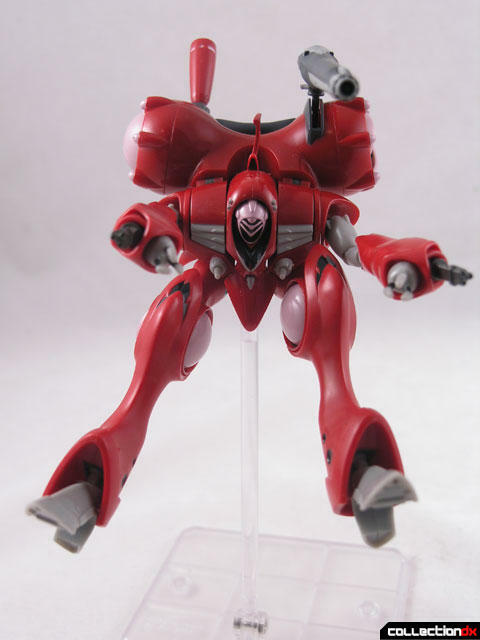 In the original Macross series, the Queadluun Rau was worn by enemy Metrans in their fight against the microns in the SDF-1. 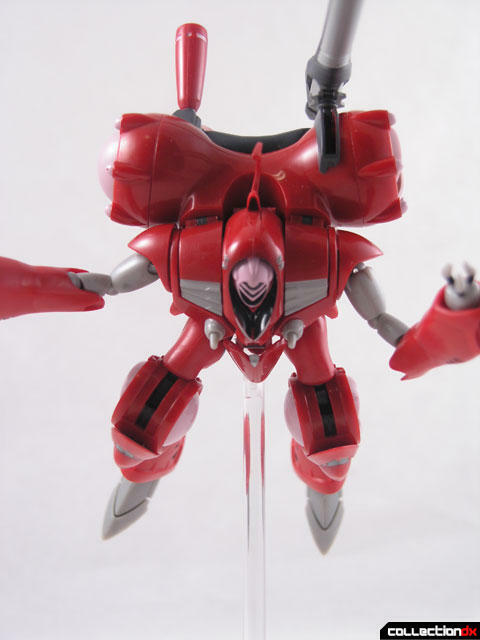 Years have passed, however, and the Zentradi and Microns are now allies, living together in the same fleet. 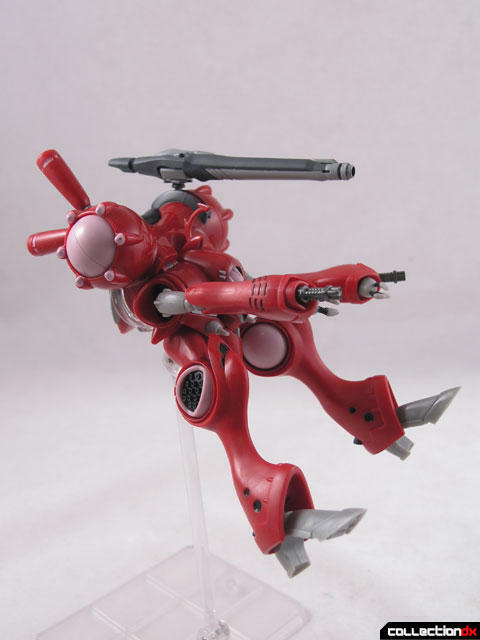 These Zentradi Meltrans now fight alongside the SMS in their Quedaluun Rare (or Q-Rare). This all-Meltrandi squadron is dubbed "Pixie Squadron". 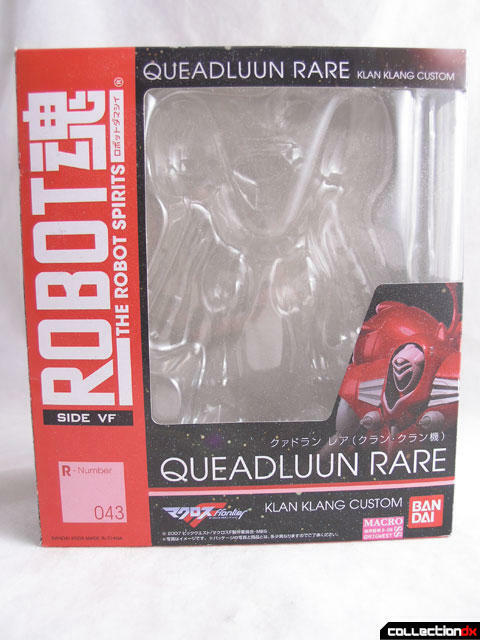 This figure is the only mass release Q-Rare in the Robot Spirits line. 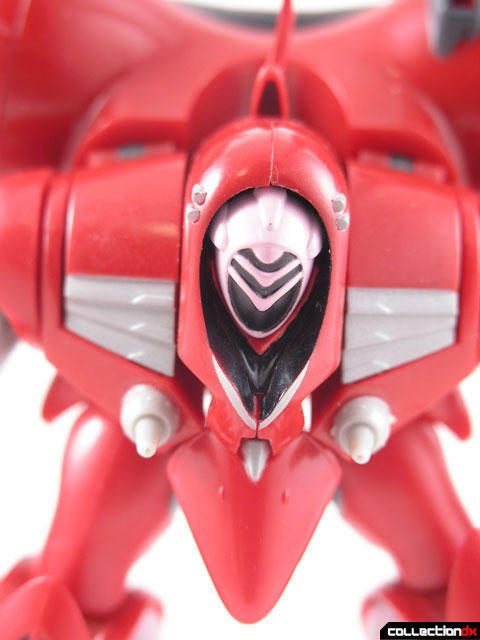 The other members of Pixie Squadron were released as Tamashii Web Exclusives. The toy is a really well-executed action figure. 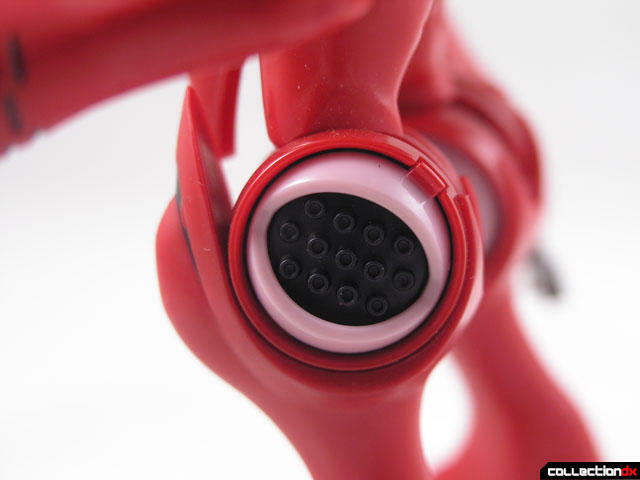 The joints are solid, the plastic is of good quality, and the details are sharp. 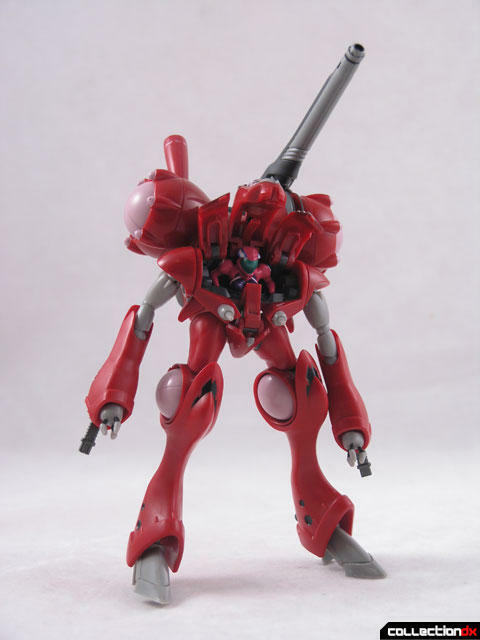 There is less emphasis on paint, with most parts being molded in the appropriate color, creating a very toy-like feel. The cockpit opens to reveal a miniature Klan Klang. The cockpit consists of four movable parts: the central cover, two side covers, and then the horn in the middle can also move. These sections move on a hinge but also can move up to allow a better view of the pilot. Klan is molded in PVC. She has her helmet on, but there is no mistake as to which form she is in, due to her... "assets". 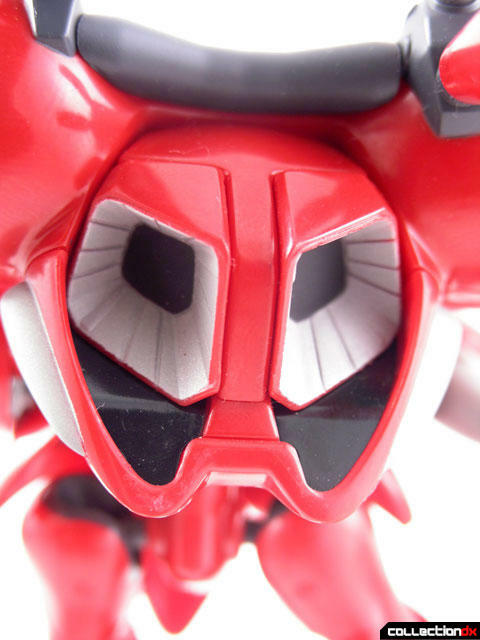 The shoulder armor is a separate molded piece that covers a flexible joint. 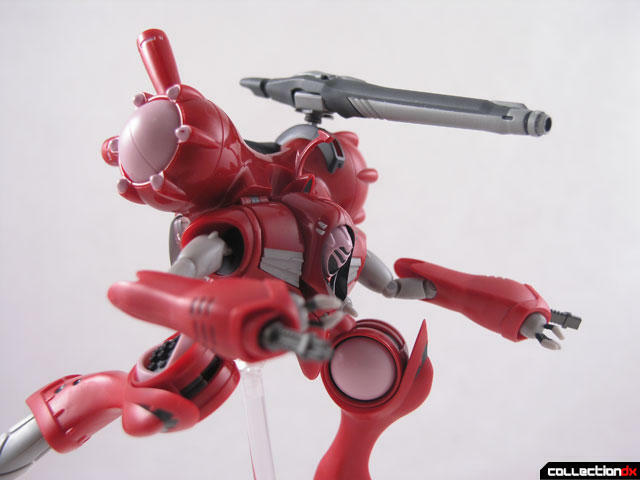 The arms are thin, but feature dual jointed elbows and spindly little hands with machine guns. Despite the apparent thinness of the arms, they hold a pose well. The entire body is one big block with appendages hanging off of them. 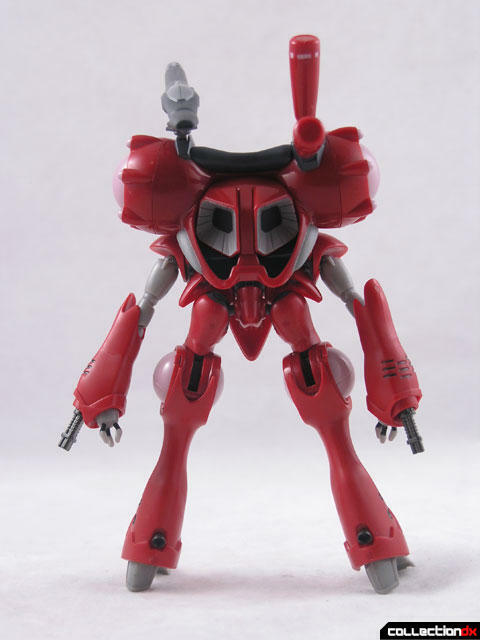 The body has a few cool features such as opening missile pods on the shoulders and a large articulated rifle. Beneath the body is a very small articulated waist, which is limited in movement due to the overhang from the body. 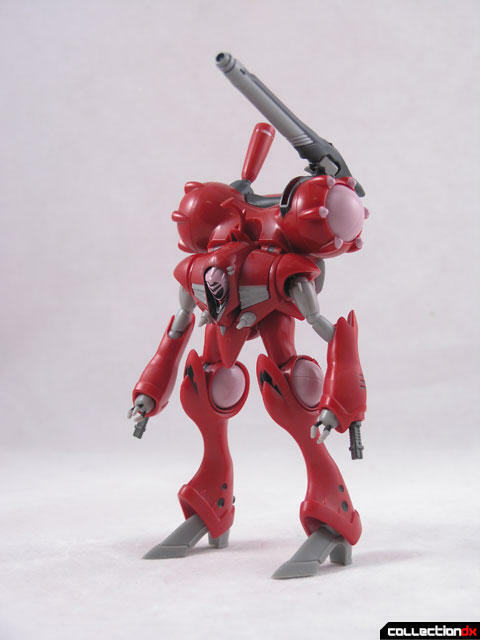 The legs are similar to the arms in terms of construction. 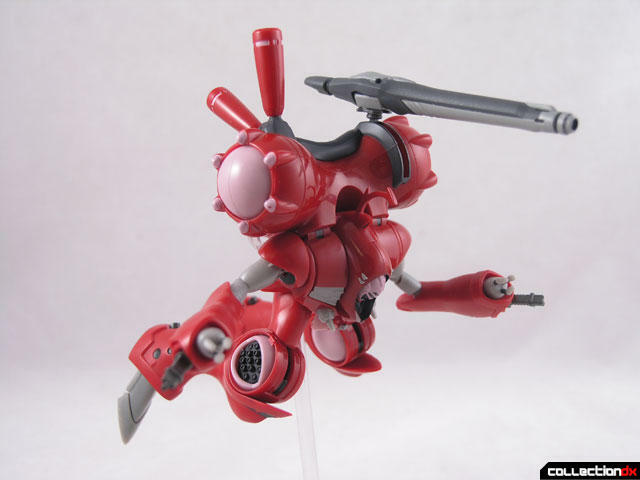 The missile pods on the side do not slide open; they are replaced with a set of "open" doors, the only accessories included with the figure. 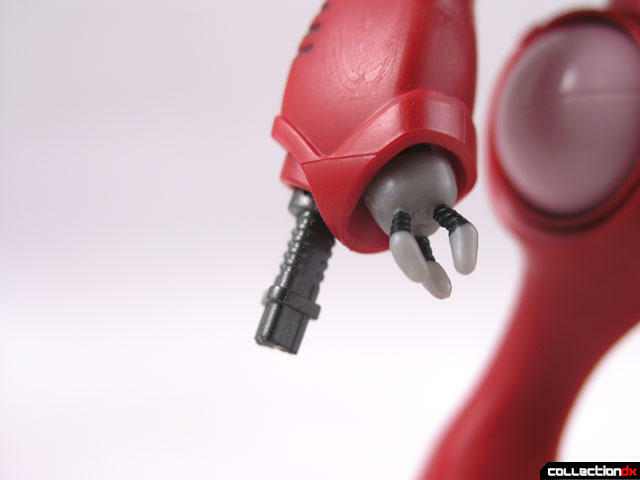 The feet are one piece, but posable on ankle ball joints. The weight of the body makes it difficult to stand the figure in anything but very basic stances. Posing the figure is where a Tamashii Stand comes in. 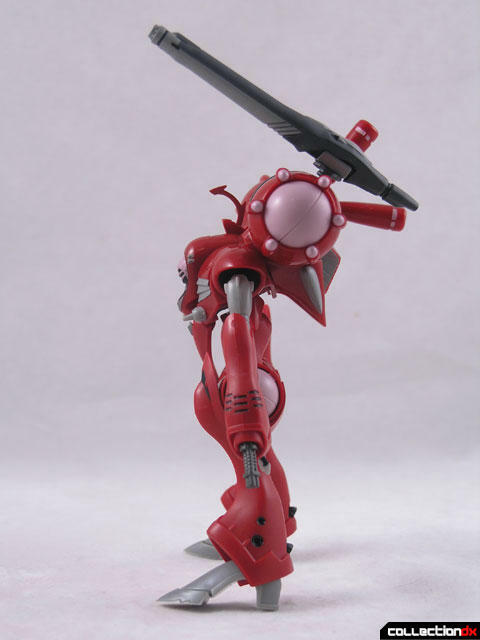 The Q-Rare does not include a stand, but you can purchase a Tamashii Stand separately, which can assist in poses. 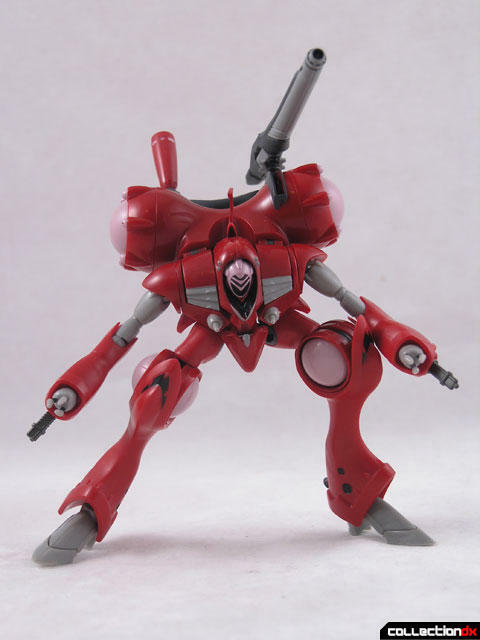 There are different types of Tamashii stands to choose from. 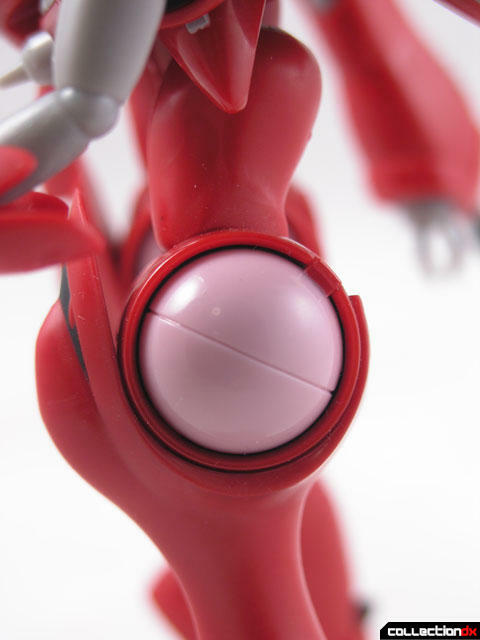 The one use here was designed for action figures, and is not really the best fit for this figure, but it does the basics. 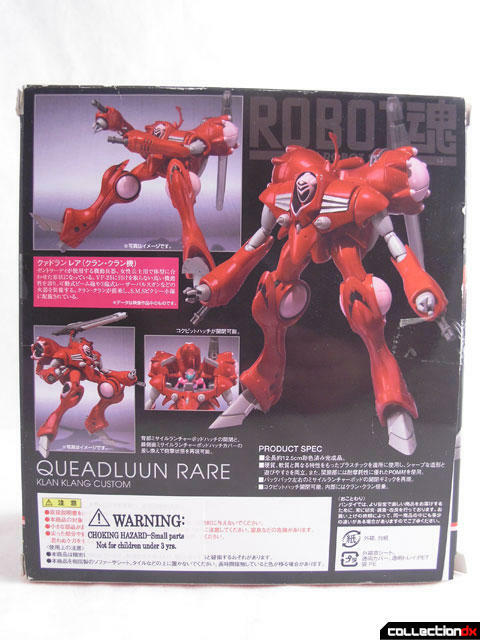 The Queadluun Rare is a quality action figure at a reasonable price point that would look great in your Macross F collection. Personally I like my Queadluun well done. How big is this figure? There's no mention of it's size. Looks to be about the same height as the VF-25 RD, so I'd guess around 120-130mm. 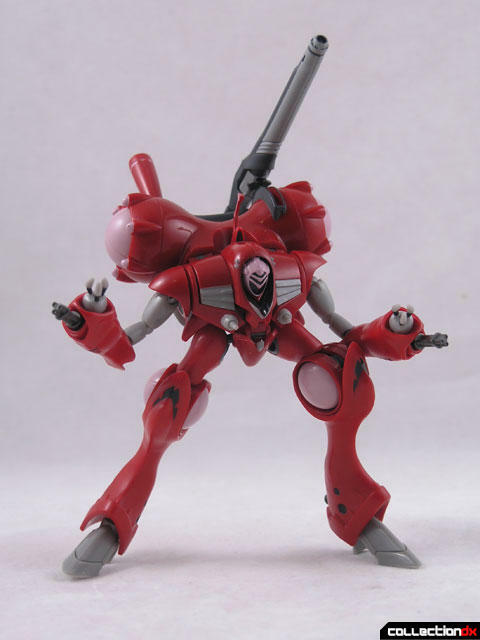 But since I'm not Josh and I don't own the toy, there is literally no point in me responding beyond waggling my...love of Robot Damashii. 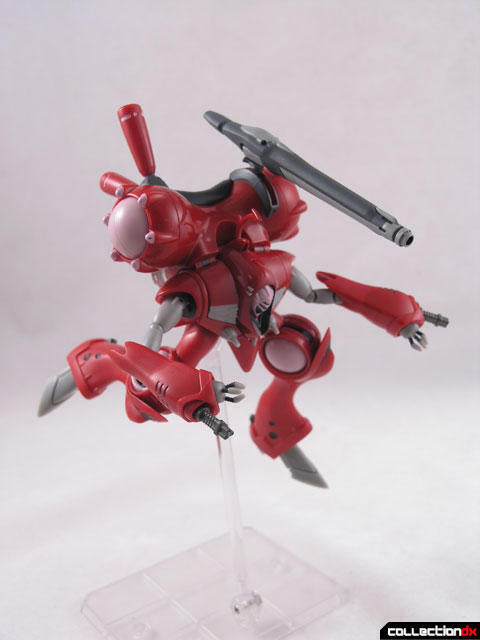 Are you going to review the RD VF-25? "She has her helmet on, but there is no mistake as to which form she is in, due to her... "assets"." 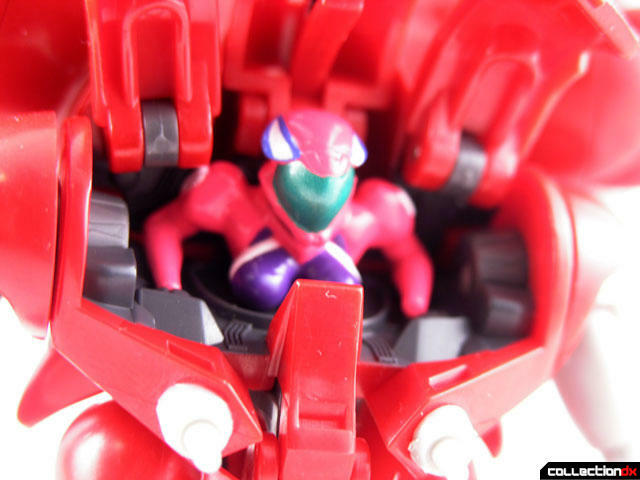 And also because if she was in loli form, the pilot figure would be the size of a grain of rice, right? I liked this review. My brother-in-law bought me one of these during a trip to Malaysia a few days after I read the review last May, we passed it off as my newborn niece's belated birthday gift to me. Josh, I don't know how you fit a Qstand in there. 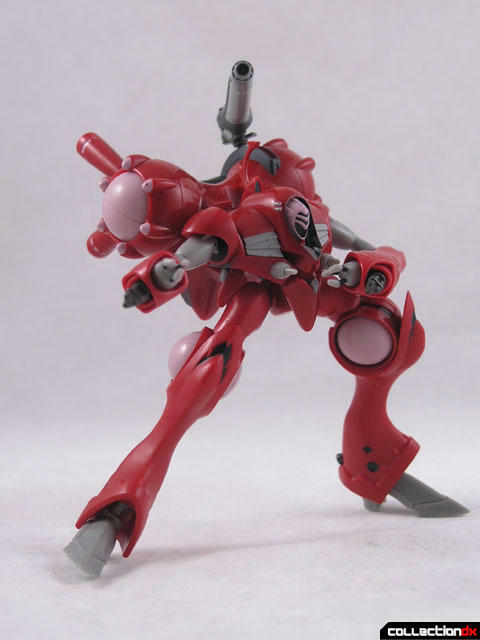 I have a Damashii Stand Act5 designed for mecha figures, and I couldn't lock it in despite using one of the clamps.